The UK’s biggest music and action sports festival is upon us, bringing five days of surfing competition and world famous bands and artists Britain’s surfing capital. 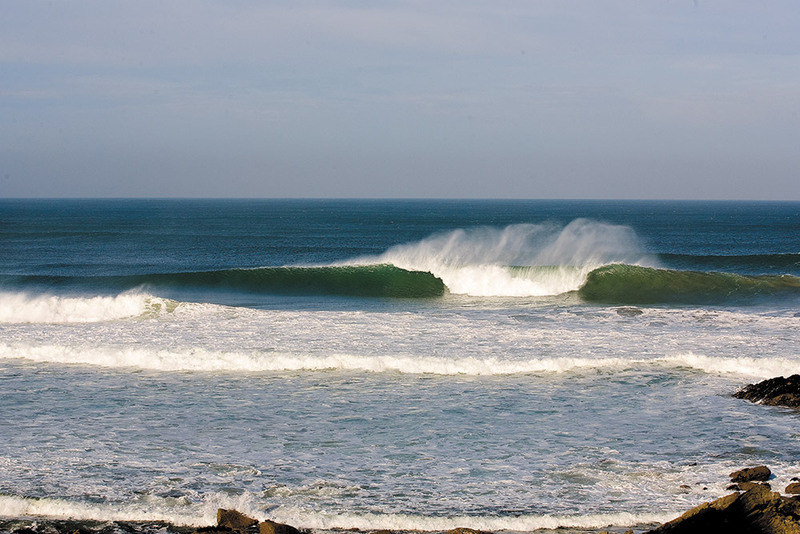 The surfing comp spans several divisions, with the Men’s open kicking off the European leg of the WQS. The event serves as a stepping stone for many of the world’s hottest up and coming talents as they battle to win crucial points to make it to the next rung of the long competitive ladder that culminates dream tour. Accordingly the events sees surfers from across the spectrum descend on Fistral beach, with local rippers going up against a high level of surfing talent from across the world. If only there was a chart like this on the cards… Photo Ben Selway. Before we tell who’s heats you shouldn’t be missing, lets have a quick run down of the forecast. For most of the event window conditions are looking seriously challenging, which is WQS speak for dismal, but don’t fret, the competitors are pretty well versed in what most of us would consider tragic surf, and there’s guaranteed to still be some impressive surfing on display. Wednesday will see choppy wind swell in the waist high range arriving directly from the north, meaning it’ll be mainly gutless right handers on offer. Thursday is looking pretty much flat, with Friday seeing slightly improving conditions, particularly in the afternoon, with a small new pulse arriving through the afternoon, accompanied by slightly more favourable west south westerly winds. Saturday is looking like the best day of the window, with a small westerly groundswell peaking in the morning, before slowly dropping throughout the day. The wind is still strong and from the NW which is by no means ideal, but there should be a few sections about. Sunday looks like it’ll be knee to waist high and a bit cleaner. With a forecast like this luck will play a massive role, closely followed by competitive nouse and local line up knowledge. Accordingly local boys and notoriously smart competitors Luke Dillon and Alan Stokes are definitely worth keeping an eye on. Similarly Cornish comp specialist Jobe Harriss, who has been on an absolute tear this year in UK comps, is an obvious call. Sticking with the Brits, Newquay boy Harry Timson has spent all year fine tuning his high performance game in good quality waves, developing an air game and level of flare that is unparalleled in the competitive field (see cover shot, taken at Watergate yesterday), except perhaps by Spaniard and Volcom team mate Gony Zubizarreta. Gony is the highest seeded surfer coming into the event, currently ranked 50th in the world and riding high on back to back wins in Portugal and The Basque Country. Previous junior US Open champ Luis Diaz from the Canaries is also one to watch in challenging conditions. Outside of the European contingent, Aussies Liam Mortensen and Jordan Lawler as well as Kiwi expat, and current Cornwall resident, Jay Quinn will undoubtedly prove dangerous if they can out grovel the aforementioned. Gearoid Mcdaid fine tuning his air game at Fistral last week. Photo Luke Gartside. We’ve got a stall in the trade village at Fistral Beach, so come down and say high, grab some mags and scope our new clothing line. See you there!